Is HP to unveil a 7-inch TouchPad in August? While HP's TouchPad is getting ready to hit shelves stateside in all of its 9.7-inch webOS glory, a smaller version of the tablet might be already in the works, a report by Taiwan's Economic News says. Hewlett-Packard has picked supplier Inventec, which will receive some 3 million orders for tablets this year, but it's the 7-inch slate planned by the company that catches attention. 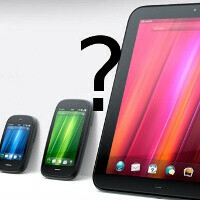 The report claims that the company will announce the small tablet this August. In comparison, the 9.7-inch TouchPad is launching July 1st across various retailers nationwide. Unfortunately, there were no further details about the device, but judging from the competitive $499 price tag of the 16GB TouchPad, we expect to see an even more aggressive price for the seven incher. Combine this with a dual-core processor and the power of webOS, and this would sounds like the right combination for popularizing the platform, wouldn't it?